FINRA Arbitration Reform: Is it Enough? FINRA, the Financial Industry Regulatory Authority, is continuing to make reforms to its often criticized arbitration system for settling disputes between brokers and clients or among industry parties. This week FINRA Arbitration Reform is in full swing with 35 of the 51 recommendations set forth by a task force convened in 2014 to address deficiencies. That figure includes the consideration of several recommendations that the self-regulator rejected. Critics claim the industry regulator’s arbitration reform is slow at best, particularly when it comes to the transparency of the arbitration process and the qualifications of the arbitrators. FINRA said it brought on board 945 new arbitrators last year, well ahead of the goal it set out of 750 recruits. The authority noted that it has added more women and African-Americans as part of its effort to increase the diversity of its arbitrator pool. The regulator plans to increase investigation of bad brokers and electronic communications, among other new measures. Other recommendations from the task force can’t be enacted by FINRA since they would require a full-fledge rulemaking process that requires approval from the SEC. Under those restrictions, FINRA has completed two such rules—one, expanding the roster of potential arbitrators in a given dispute from 10 to 15 and two, the possibility for cases to be dismissed earlier in the arbitration process. FINRA will also develop a mechanism for notifying state securities regulators when brokers make a request for an expungement of an arbitration proceeding from their record. The organization is also developing a proposed rule that would provide for the expedited resolution of small customer and intra-industry disputes, defined as those cases involving claims of $50,000 or less. But the critics of the FINRA arbitration process remain unimpressed, and see the changes as minor, according to Financial-Planning.com. Unfortunately the update on FINRA arbitration reform does not address calls for a compensation fund to disburse the close to one-third of awards that go unpaid. FINRA’s report agrees that the reform efforts are a work in progress, and some of the modest adjustments it has made to the arbitration system do seem small in scale. Later this year, FINRA is planning to roll out changes to its technology system for tracking the pending disputes that arbitrators are assigned to, and it has expanded the statistical information it makes available about the arbitration cases. FINRA declined to act on the recommendation to ease the process for challenging an arbitrator’s assignment to a dispute based on their role in related pending cases where conflicts could arise. It also rejected a recommendation to require all potential arbitrators in a pool for a dispute to submit comprehensive, case-specific disclosure reports during the panel-selection process. If you have suffered investment losses, the attorneys at The White Law Group may be able to help. For a free consultation, please call (888) 637-5510. 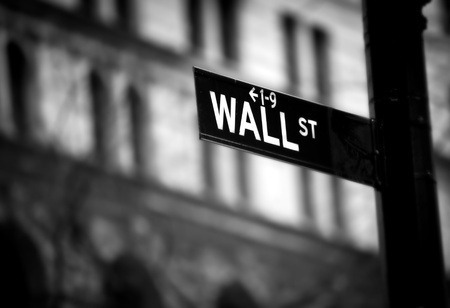 » Blog » FINRA Arbitration Reform: Is it Enough?